Need a quick cure for insomnia? Grab almost any textbook and start reading it. Chances are, you'll be yawning before you've finished the first page! My public school education consisted almost solely of what I've heard called the "read and regurgitate" method of learning. That's a colorful way of describing what happens when a student reads from a textbook and then answers questions taken directly from what he has just read. Because these questions only require the material to be committed to a student's short term memory, they are often an exercise in futility. How many of us could pass our high school social studies tests if we were to take them ten years later? I was in my thirties before I realized I loved to study history . . . a subject I had avoided during my school years. Preparing to home school my first child, I discovered a curriculum that used "real books" instead of textbooks. My son was going to be reading colorful, engaging stories instead of dry narration. In previewing his lessons, I was embarrassed to realize I was learning a lot myself! We've experimented with textbooks, and I suppose there is a place for them. I put them in the same category with dictionaries and encyclopedias. They're great for a brief introduction or to fill in the details of a story with which the student is already familiar. They're fine as an additional source for research. But, to truly understand and appreciate history, one has to almost live it . . . which is what we tend to do when immersed in a great storyline! Fifteen years after being introduced to my first alternative curriculum, I still have an aversion to textbooks. I probably take it to extreme. 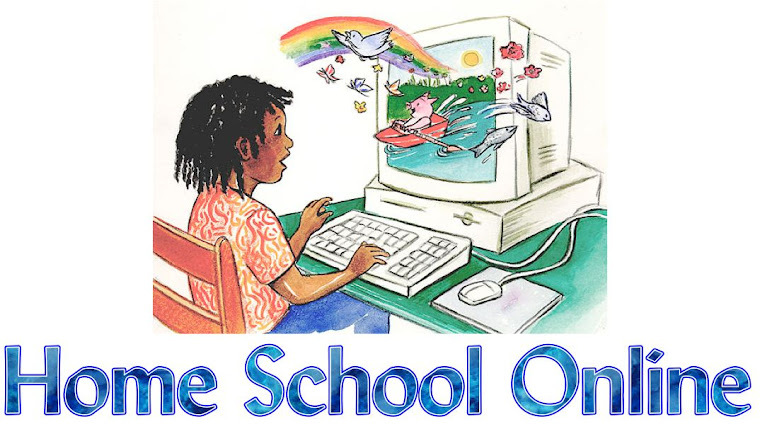 Our homeschool curriculum consists of story books, animated computer lessons, DVDs, hands-on activities, and field trips. At some point, everyone has to learn to attend to boring tasks, but I don't want to teach that lesson in combination with American history. Learning is more effective when lessons are fun and engaging, and this mom has continued to learn, right along with the kids!